The world faces several challenges in global health. The recent outbreaks of Zika, MERS and Ebola highlight the transnational nature of infectious diseases and the potential risks to global health security and safety. In addition, many young children in developing countries still die from infectious diseases that are vaccine-preventable. In 2015, the World Health Organization (WHO) estimated a total of 5.9 million deaths of children under the age of five, with a majority of deaths in sub-Saharan Africa. It was established as an initiative of the United Nations Development Programme (UNDP) in 1997 with the mandate to improve the health of children in developing nations through vaccines and vaccination. Hosted by the Republic of Korea, IVI is Korea’s first International Organization and counts Korea, Sweden and WHO among the 36 signatories on its international treaty. IVI focuses on developing vaccines against “neglected diseases” like cholera, typhoid, and dengue fever - infectious diseases that disproportionately affect people in developing countries. Among its major achievements has been the development of the world’s first low-cost oral cholera vaccine, which was developed through an international public-private partnership led by IVI with key players from India, Sweden, Vietnam, the United States, and Korea. The oral cholera vaccine developed by IVI (Shanchol) was approved by the WHO for global use in 2011, a rare achievement made by a nonprofit organization. Cholera is a disease of poverty and tends to strike in situations where there is poor sanitation, unclean water, and overcrowding such as refugee camps. It is an acute diarrheal disease that can kill within hours if left untreated. According to the WHO, there are between 1.4 million and 4.3 million cases and up to 142,000 deaths per year. The cholera vaccine is procured for a global stockpile managed by WHO as a tool to stem outbreaks. About 4 million doses of the oral cholera vaccine have been administered globally so far, and IVI has helped deliver the vaccine in Ethiopia, Malawi, and Nepal through vaccination campaigns, further demonstrating that the vaccine works in a variety of real-life settings. Anticipating that the current supply of cholera vaccines may not meet demand, IVI has been working with additional vaccine manufacturers including one in Korea. Their oral cholera vaccine, Euvichol, was approved by the WHO in late 2015. IVI’s approach is based on vaccine research geared to meeting the needs of developing countries and global partnerships to ensure sustainable impact. IVI’s research platform consists of state-of-the-art laboratory facilities at its headquarters on the campus of Seoul National University, where it conducts preclinical research and process development. The institute also has more than 20 field sites in countries in Asia, Africa and South America where it conducts clinical studies and field work such as vaccination campaigns and disease surveillance. Partnerships play an integral role in IVI’s work. 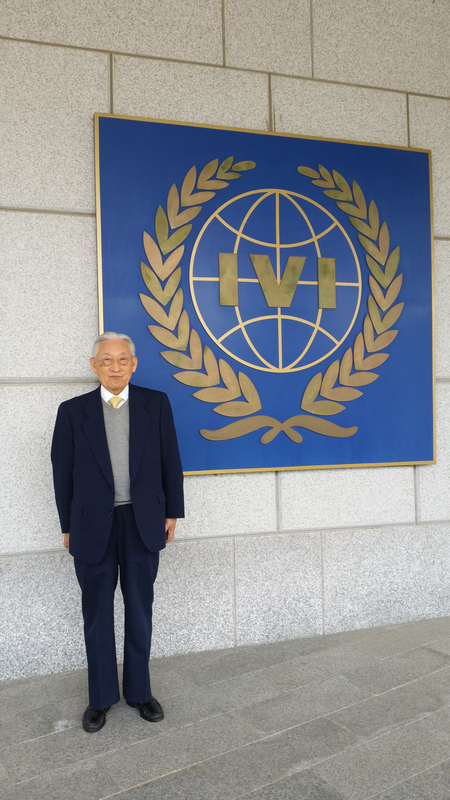 To this end, IVI works with several Korean partners on vaccine development and delivery projects. IVI has partnered with EuBiologics to develop an oral cholera vaccine; LG Electronics, Kia Motors, the Korean Ministry of Foreign Affairs, and the Export Import Bank of Korea to introduce the cholera vaccine for the first time in Ethiopia and Malawi; and Kim & Chang and Yang Hyun Foundation to introduce the vaccine in Nepal. While in office as president of Seoul National University, Cho made many achievements for the development of the national university. To name a few, he established a 2nd SNU library, set up the Hoam Professors’ Hall, and built an informatization LAN system connecting SNU and the National Library of Korea at a cost of 3 billion won donated by Samsung Group.